Home / The Team / Robin Kanarek, Ph.D.
Robin Kanarek, Ph.D., is the John Wade Professor of the Tufts University School of Arts and Sciences. 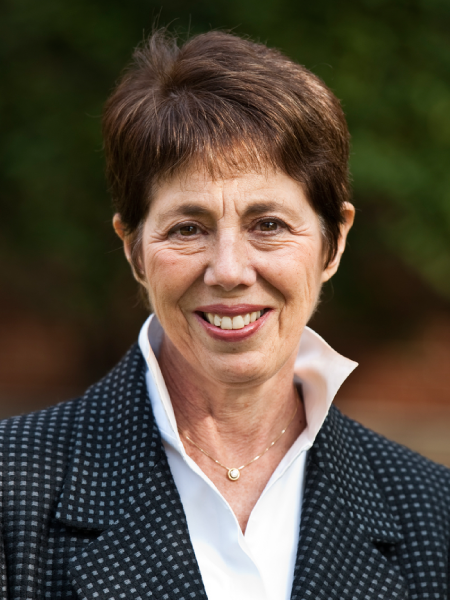 She served as Dean of the Graduate School of Arts and Sciences from 2002 until 2006 and as the Interim Dean of the Gerald J. and Dorothy R. Friedman School of Nutrition Science and Policy from 2011 to 2014. In her research, Dr. Kanarek has investigated a range of nutrition-related issues including the effects of nutritional variables on the development of obesity and diabetes; the physiological and behavioral factors influencing diet selection in experimental animals and humans and the roles of nutrients and physical activity in determining the consequences of psychoactive drugs. Most recently, she has been studying the effects of obesity and diabetes on cognitive behavior, and the relationship between nutritional variables and cognitive behavior in children and adults. Her research has been funded by the National Institutes of Health, the Department of Defense, and other governmental agencies and private companies. Dr. Kanarek has authored more than 120 books, book chapters and articles and has presented the results of her research at national and international conferences. She also has served as a member of the Committee on Military Nutrition Research for the National Academy of Sciences and on review committees for the National Institutes of Health, the U.S. Department of Agriculture and the National Science Foundation.